32 Things That'll Make Any Musical Theater Fan Scream, "OMG, I Want!" Playbill pics or it didn't happen. 1. An illustrated poster to show everyone who visits your home that you've been a true Broadway fan long before Hamilton came on the scene. Get it from PopChart on Etsy for $30+ (available as the print only, mounted on a panel, or a frame with three different color options). 2. A beautiful coffee table book packed with all the information you've ever wanted to know about musicals throughout history. 3. A throw pillow for the ~serious~ fan that knows this will make their living room ~so much better~ (and also probably make them break out into song). Get it from Redbubble for $26.01+ (available in six sizes and as a cover only or cover and insert). 4. A sweatshirt that'll explain why you spent more time in gym class singing show tunes with your friends than actually running. Get it from ChippyTees on Etsy for $23.95+ (available sizes S-3X and in a unisex tee, ladies tee, long sleeve, and unisex tank, all in four colors). 5. A colored pencil set and four coloring pages to cure your misérable day when you just need a break and to remember you life could be worse: you could get thrown in jail for stealing a piece of bread. Plus, each colored pencil has a great name! I mean Blue4601 and One Grey More, come on! Get it from Thespian Swag for $24.95. 7. A keychain that'll inspire you to ~defy gravity~ every day when you grab your keys and leave the house. Get it from ChihAriel on Etsy for $16 (available in four other styles). 8. A shadowbox to store all the ticket stubs you've been collecting. They will look so much cuter on your wall than in a pile in your room! 9. A theater-themed Cards Against Humanity expansion pack they say is Lin Manuel-Miranda's favorite (and when has Lin ever steered us wrong?). All the profits from this are donated to the House Theater! Plus, don't forget the actual Cards Against Humanity game, if you don't have it already. Get it from Walmart for $7. 10. A New Broadway History tote bag that celebrates collaborations in the history of musicals and may be your key to winning your next round of trivia. Get it from DramaNerdDesigns on Etsy for $25. 11. A Waitress-inspired cookbook you'll be ~opening up~ all the time because you know ~what's inside~ is going to show you exactly ~what baking can do~ (i.e. make delicious pies). Promising review: "Do you love pie? If you're reading reviews for this, you should already know the answer to that question. Pies are amazing. Waitress is amazing. This book is fantastic. You won't regret it." —Thompson H.
12. A t-shirt with an important message about who you are and what kind of shows you want to see. Get it from ban.do for $38 (available in sizes XS-XXL). 13. A vinyl decal sticker, because putting this on your laptop may help your luck turn with all those digital lotteries you keep entering. Get it from thepunchlinedigital on Etsy for $5.25+ (available in six sizes and 36 colors). 14. A pair of Hamil-toes socks you'll wear ~non-stop~ to show your love and appreciation for the $10 founding father. Get them from ModCloth for $9 or Amazon for $8 (available in one size fits most). 15. A necklace that's not only the number of minutes in a year but also approximately how many times you've watched Rent so far. 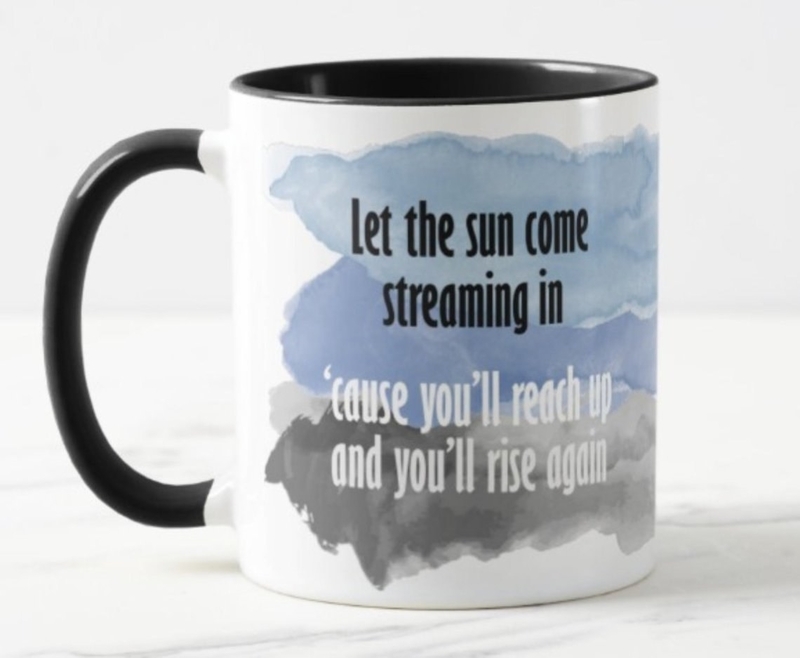 Get it from CustomizedbyVellamo on Etsy for $14.11+ (available in size styles). 16. 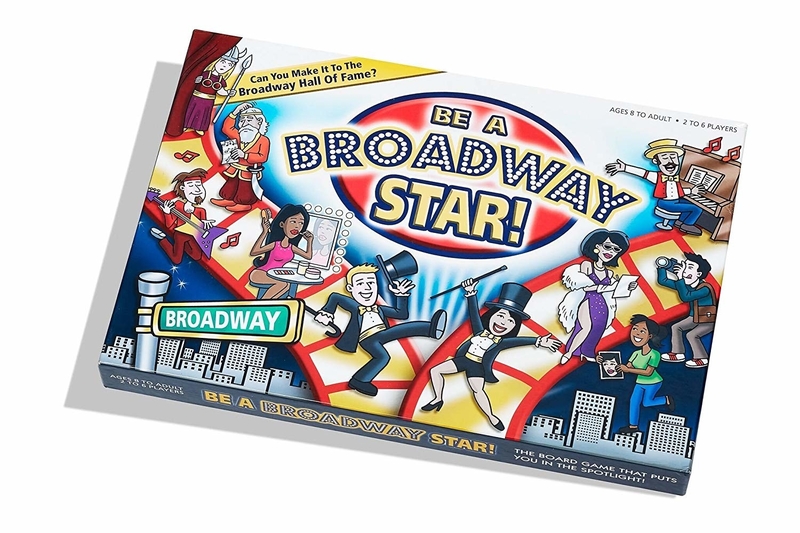 A board game where you compete to be the biggest broadway star (as if you haven't been doing that already). 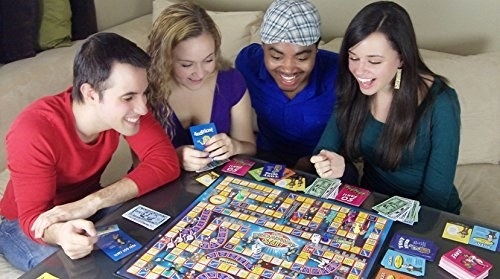 It's for 2–6 players, ages 8+. 17. A t-shirt that'll send everyone good luck, whether they're performing, auditioning, or just trying to make it through the day. Get it from The Backstage Blonde for $20 (available in sizes S-XXL). 18. An illustrated map of the NYC Theater District I should just hang in my apartment so everyone knows where I am if I'm not home. Get it from JagInkStudio on Etsy for $25+ (available in three sizes). 19. A vinyl wall decal that'll turn any area of your home into the Great White Way, especially when you start blasting all your cast albums. Get it from R. Olsen Production House on Society6 for $17.49 (availble in sizes XS-XL and in six colors). Get it from SolPixieDust on Etsy for $24+ (available in 34 colors). Get it from Amazon for $45.68+ (available in sizes 5-10.5). 23. A travel mug, because the most consistent thing about my life is my daily rejection from the Hamilton app. Maybe one day I'll get my shot. Get it from MadeRobyRo on Etsy for $20+ (available in 12 different cups and 13 font colors). 24. A frame designed specifically to fit your favorite Playbill and ticket so you can show the world what show has meant the most to you. Get it from Amazon for $29.95 (available in 1, 4, and 12 pack). 25. A set of candles so you can smell like your favorite Heather—or Veronica. The Heather McNamara fragrance smells like pineapple and champagne; the Heather Chandler fragrance smells like baby berry twist, strawberry, and coconut; the Heather Duke fragrance smells like pear, lemon and lime, and vanilla; and the Veronica Sawyer fragrance smells like melon and berry, frozen margarita, and spice. All the candles burn for 30-40 hours. Get the set of four from ruthlessheroines on Etsy for $34.41. 26. A quiz book filled with almost 80 quizzes that may stump even the most die-hard fan. But if musicals have taught you anything, you're up for the challenge, right? Get it from Amazon for $19.09. 27. A poster with inspirational quotes, because the best life lessons are sung, not spoken. Get it from ALyricalMiracle on Etsy for $13+ (available in six sizes). Get it from Amazon for $169.99+ (available in white, black, and frameless). 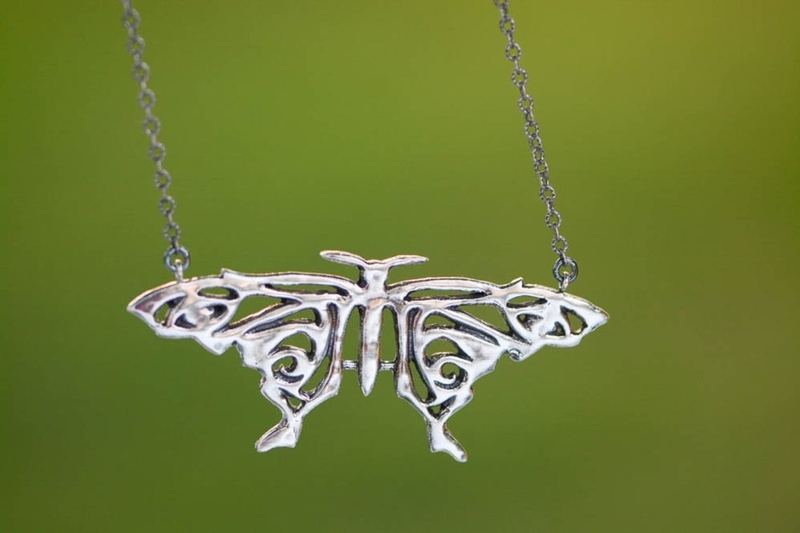 Get it from ByLiad on Etsy for $250 (available in three necklace lengths). 30. A copy of Andrew Rannells' memoir, because your favorite Elder Price–turned TV star, has stories to tell about his journey to the stage, and we can't wait to read them. Pre-order it from Amazon for $12.99 (will ship March 12th). 31. 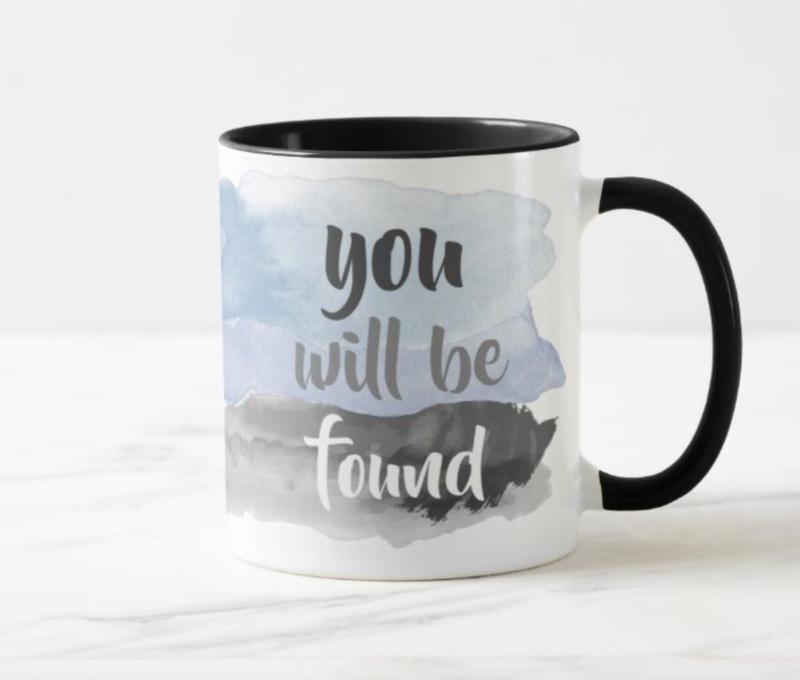 A motivational mug that'll help you remember ~you are not alone~ in this world and coffee will always support you no matter what. Get it from SparkOfSunshineShop on Etsy for $13.99 (available in six colors). 32. And a onesie to inspire the next generation of theater lovers, because you know one day they're going to blow us all away. Get it from LuLouDesigns on Etsy for $14 (available in sizes newborn to 24 months).